Happy March! I've been super busy working on a couple exciting projects, and I was so excited to share one finally last week! 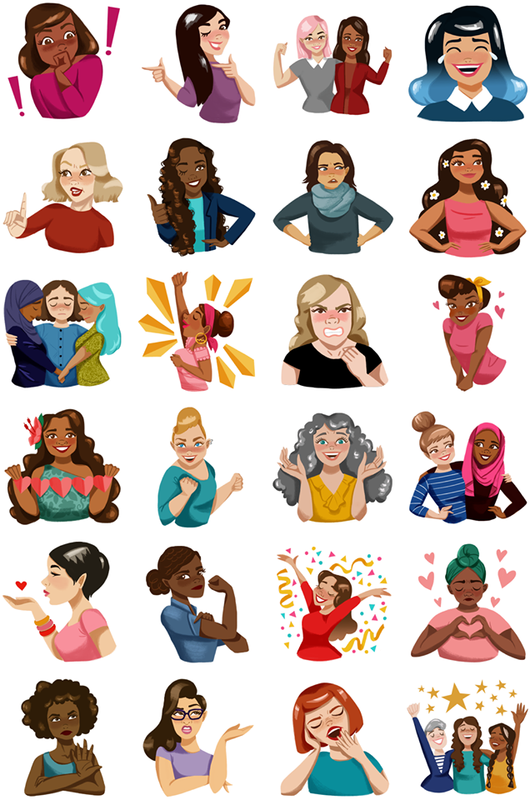 On March 8, International Women's Day, we launched a collection of Facebook Stickers that celebrate strong women and all their grit, determination, spirit, and love. I'm really proud of the work I created here with the fabulous team at Facebook; they really encouraged me to represent intersectional diversity without that being the big flag subject of the work. It's my hope that with projects like this, we can make representation the norm and not the exception. So I hope you enjoy the pack and find ways to use it in your every day conversations and comments on Facebook! You may download and use the pack here. If you're anything like me, you might love reading business articles on entrepreneurship and people doing it for themselves. So I'm super excited to be working with Rachel of The Crafted Life and business coach extraordinare Tiffany Han on their new column, The Crafted Biz. For the next six months, Tiffany's serving up a monthly column on how to craft a business you love. I'm hand lettering a free printable quote from each post that you can print at home and hang on your wall to remind yourself that you've so got this (in the words of Tiffany herself). Sounds like the perfect six month kick-in-your-pants dream team to help you get to your best business self. Read the first post here on Knowing Your Why! 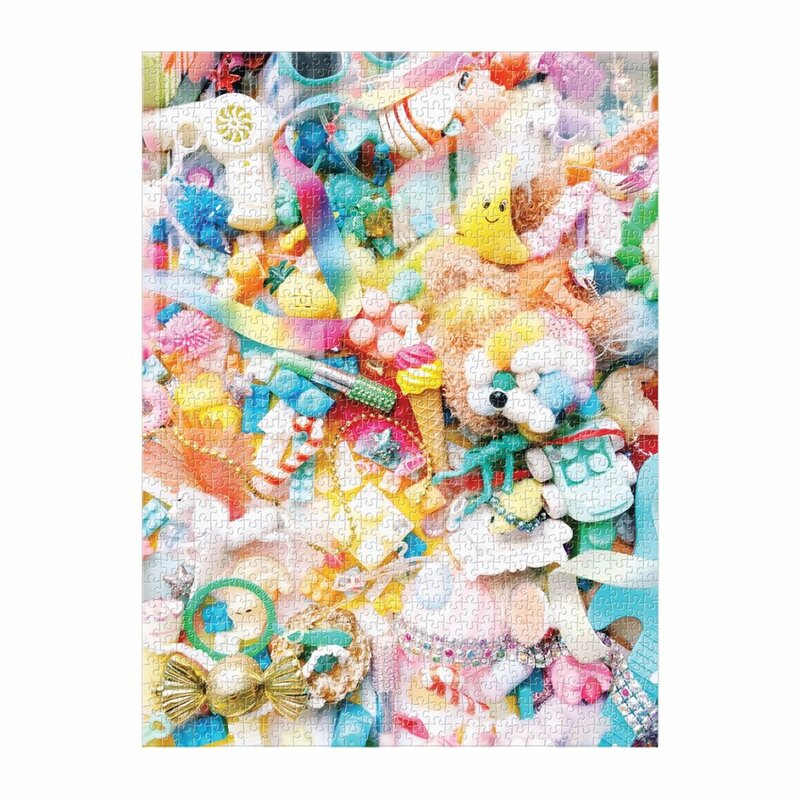 Hi and happy May! 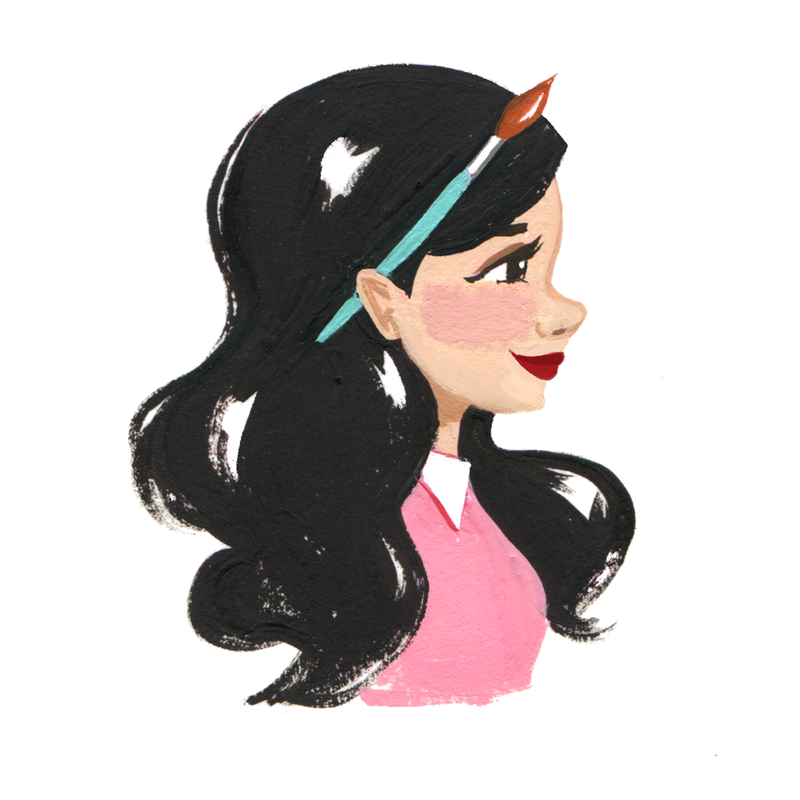 So much exciting stuff has been going on behind the scenes here, which I can't wait to share soon. 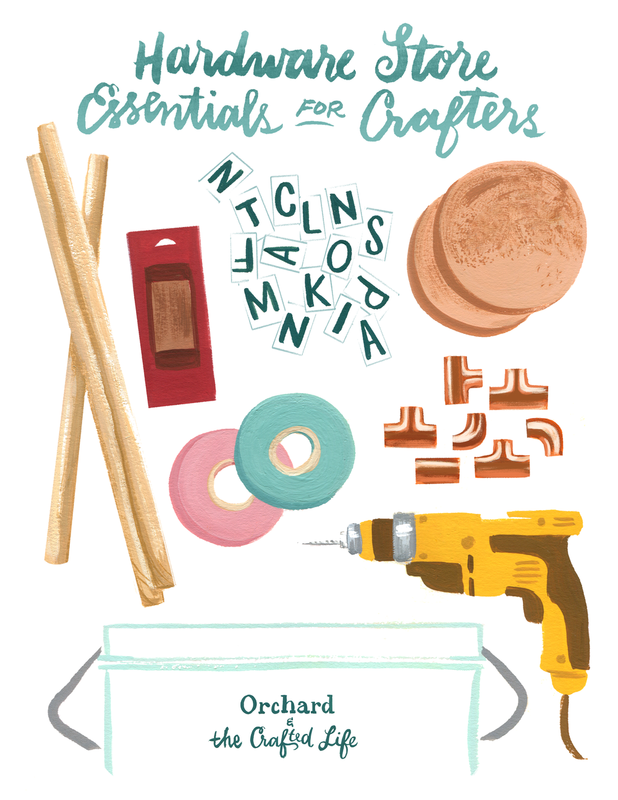 One of the wonderful projects I've gotten to work on lately is this printable for The Crafted Life's Crafter's Essential Guide to the Hardware Store in partnership with Orchard Supply Hardware! I met the lovely and sweet Rachel of The Crafted Life at Craftcation this past March, and we became fast friends with our shared love of color, glitter, and real biz talk. It's always such a joy to get to work with friends who have the same vision and totally get it, you know? Hop on over to her super cute blog and you can download this print for your very own (or find it at the grand opening of the Orchard Supply Hardware in Portland)! Happy April! It's hard to believe we're already halfway through the month; so really, happy tax day! I wanted to pop in and share this lettering commission I just finished, because it was such a pleasure to work on. My client and I were both thrilled with the results, and isn't that the best kind of work synergy? Such a sweet sentiment too; it reminds me of the thrill of discovering music that made your heart glow – a feeling that seems harder and harder to recapture as I get older. I've got to change that by discovering more new music soon! Have you seen the new spring 2014 line from ban.do? So much super cute stuff that will take your 2014 wardrobe to the next level, I promise. I'm already putting the crown jewel headband (in mermaid, of course) and girl talk bobbi sets in my cart! And to help you find the perfect gift for Valentine's day, there is always the heart-shaped sunnies iPhone case I designed for ban.do! Add that to your cart while you shop the new collection, won't ya? And I've also seen them in store. It was super exciting to see it in store, unexpectedly, and then see someone pick it up and buy it. Definitely a memorable moment in my career so far!